Here is the letter we sent to John Branca, Darren Julien and Michael Lee Bush, we have not had a reply from Juliens or Bush. Brancas reply, Via OnLineTeam is below! To which we have sent 2nd letter to him. Click here…..
We reached out to the Estate, Michael Bush and Julien’s to talk some sense into them. We at Team Michael Jackson are fair, we don’t throw stones, yet we do call a spade a spade by assessing all sides and pride ourselves on accuracy. It’s not about ego for us; justice for Michael is paramount and we will travel paths in all directions where those goals can be obtained. We all… Michael’s Advocates and Fans wanted the auction that took place at Julien’s on December 2nd in LA, of Michael’s legacy to be stopped. We expressed our reasons why, in blogs tweets emails and letters. In the process, we discovered that Michael Bush forged Michael’s signature on hundreds of memorabilia and clothing. We provided this information to the Estate to alert them of this crime, we also forwarded our finding to the proper authorities, fans and advocates alike rallied with us across this country and around the world. Bidders and buyers viewed our evidence and they saw for themselves that the items they won were not authentically signed items by Michael Jackson. We Love and take Michael’s fans just as seriously as he did; so when we were contacted by these distraught fans that had just realized they’d been swindled by Michael Bush and Darren Julien . We did some research and offered them a few options they could take independently if they so choose. To further help fans, we decided to give the Estate the opportunity to be who they say they are, they’ve said that they are the “preservers” of Michael’s Legacy and “executors” of Michael’s estate…whom are dedicated to ensuring Michael and his benefactor’s best interests and are equally dedicating to giving Michael’s fans the best experience. We put our differences to the side, decided to call them on their statements and contacted the estate. Our hopes were that they would do the right thing, for why wouldn’t they, if the countless statements Branca made since Michael’s murder were true. Surely they would be more than happy to assist in getting a resolution for Michael’s unhappy fans. Team Michael Jackson, provided more than enough proof of fraud, committed by Michael Bush and Julien’s. We’d been in touch with experts from AML and authenticators graciously analyzed all the supposed “autographed” Michael Jackson lots consigned to Darren Julien and they all were in agreement that the signed items auctioned off were in fact forgeries. This was all done in a public forum, the discussion is documented and the link to such had been shared with the Estate. We told them about the Standee manufactured by Bravado the very company the Estate gave exclusive rights to, for Michael Jackson merchandising; Michael is also listed on their site as one of their artists. Bravado as the company that owns the exclusive rights to Michael’s merchandising, also monitors the bootlegging of that merchandise and safeguards the estate against piracy of such. They are the ones that you must come to in conjunction with the Estate to license Michael’s name and image on a product or for its use commercially. So we listened when Bravado admitted that the LA Gear advertisement standee was created after Michael was murdered. Michael could not have signed this Standee, we are all in agreement on that. So how, exactly did uh…Michael’s “signature” get on the standee? But wait…his foreword is just that …a foreword in a book…no big deal. Uh…John G Branca is the current executor of the Michael Joe Jackson estate. He oversees the estate of the greatest entertainer of all time. He runs the empire that puts Michael as the most powerful and richest entertainer in the industry. He has said that he is Michael Jackson now…but yet we are to take his foreword on a book about Michael Jackson as “just” a foreword. We are not to take his “foreword” as endorsing the book and its contents. We are not to take the exhibition that was a launch to the book, the book that he gave his foreword to… as Branca’s approval of it. And we are not to take the subsequent auction of Michael Jackson items highlighted in the very book that John Branca gave the foreword to as Branca validating the costumes and autographed items sold. HUH?! Ok fine…give me a minute please….John, you are one of the most double talking, back biting people we have ever come across. Can you explain how this makes sense, can you …? You are an entertainment estate and tax lawyer, you are a business manager and estate executor. You KNOW the significance of an endorsement, a head nod, a freaking FOREWORD… Why are you playing games now? The above statement given on your behalf as stated by the MJ Online Team…. alludes to the thought that you just threw your name on a book, we know that you know better than to just pen your name to anything. So you didn’t read the book John? You didn’t know or have input on the exhibition John, you had no conversations whatsoever about the items that were going to be auctioned by Julien’s and Bush and you did not view them nor have any questions? You are trying to tell us that you just said ok as someone who has done business with Michael for years, I will allow you to use his image in your book and I will even write the foreword, it’s just a foreword. “I’ll do this for you, but will have nothing to do with the book exhibition or auction. 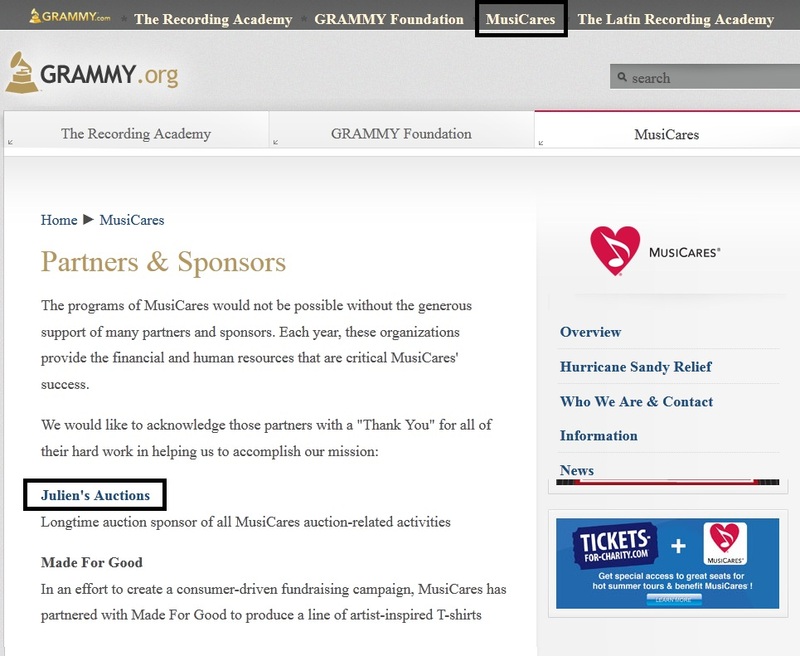 And I want no type of kick back, but you can send some of the proceeds to Musicare my foundation that Martin Bandier sits on the board, the same Martin Bandier that is heads Sony/ATV. I just can’t take his nonsense, we will not takes his nonsense nor participate in it. What do you take us for…idiots? So why did you give the foreword Branca, can you give a straight answer to that question? Why did you work so closely with Spike Lee on Bad 25, did you have nothing to do with that either, I hear you were interviewed for the documentary? Why did you work so closely with Cirque and give them permission to use Michael’s name and music or how about the deal with Ubisoft for the game Michael Jackson: The Experience, why were you involved in that? You have waived your fist and pounded your chest many a day, saying that whoever wants to use Michael’s name likeness and music has to come through you, they must gain your approval. It goes without saying that all these deals made that use Michael’s name music and likeness, YOU APPROVED. How is this any different in the Michael Bush’s case? Clearly you are aware of your role as someone who gave the foreword on a book about Michael Jackson and what that means in the new world of Michael Jackson. In light of the now public fraud, you are trying to rid yourself of liability and/or taking action against this crime. No…no one can stop anyone from selling what’s in their possession that is true. 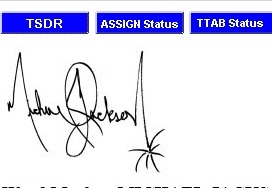 However, using a Michael Jackson trademark which would be his signature and specifically Michael’s signature with the star symbol at the end of Jackson… which is owned by the estate… Illegal use or forgery of this trademark is the Estate’s responsibility to investigate and stop. Isn’t this why you gained the trademark of Michael’s signature to prevent forgeries and profit from them, that the Estate will lose enormous revenue from? Currently you are in litigation over trademarks, why is that… if it’s ok for Bush to violate trademarks as he is in violation of them through his forgery. As you said… what were the words used, oh yes… the Estate did not sanction authorize of participate in the Bush exhibition or auction. Seems to us like the Estate has a very pressing matter that they need to step up and attend to. Based on the above statement, certain actions of the Estate just don’t make sense. The Estate sued Howard Mann for selling Michael Jackson items in his possession. Whether any of us agree with it or not, he did obtain them legally through a settlement. At least Mann wasn’t trying to sell counterfeit. The Estate did say Michael’s own Mother was in violation for sharing through her book, pictures that was in her possession. Why couldn’t Mrs. Jackson sell her book of privately owned pictures? Why couldn’t she use the name she gave her son, why couldn’t she use the likeness she gave birth to, I mean it is her likeness. Why was it wrong for Mann to do exactly what Bush did, which was use Michael’s name and likeness to sell his personally owned Michael Jackson items? Why did John Branca lay claim to all of Michael belongings from his family, Mother, children? Why didn’t John Branca claim possession of Michael Jackson’s wardrobe in possession of Michael Bush?!! Branca there is nothing ignorant about you in terms of the law and business….pretending not to be aware doesn’t suit you and is insulting to advocates. Are you saying its ok for some and not others? Are the “others” classified as those gaining revenue that you don’t benefit from…deals that you have no part of? 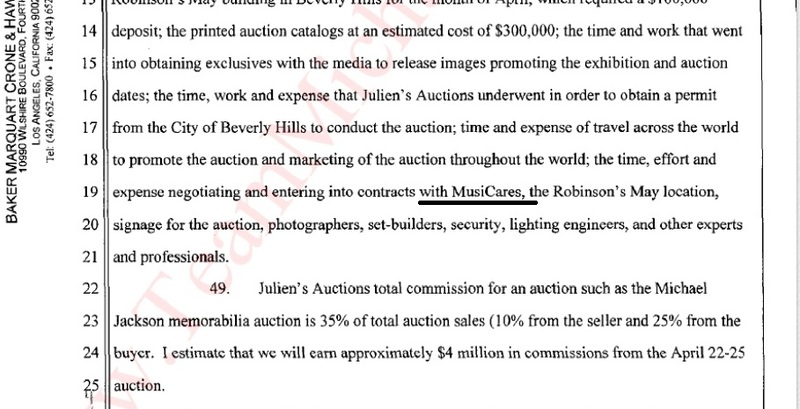 The Estate further says, that they disagree, that the sale of Michael Jackson items by a third party (which in this case is Michael Bush and Darren Julien) reflect negativity or positively on them, if they are not directly involved in the transaction. The double talk in the Estate’s response is incredulous. What sense does this make? The sale of items bearing Michael Jackson’s name likeness and music DOES REFLECT on Michael Jackson’s Estate because it represents Michael Jackson. If this were not so there would be no need for trademark agreements or exclusive merchandising rights or advertising or a need to gain approval from the Estate to do business with as Michael Jackson. Recently Darren Julien has stated the Standee that was signed after Michael was killed, was a descriptive error and should be listed as a back dated poster. C’mon… who is he kidding? It’s now public that Bush and he committed fraud and the standee is the smoking gun. Julien and Bush’s incessant need to cover their tracks is an admittance of guilt and self-incrimination. Michael’s Advocates, fans and now auction winners are aware of the fraud and theft that took place at the Michael Bush/Julien’s auction. The estate has been furnished with proof and sent thousands of emails regarding the auction. 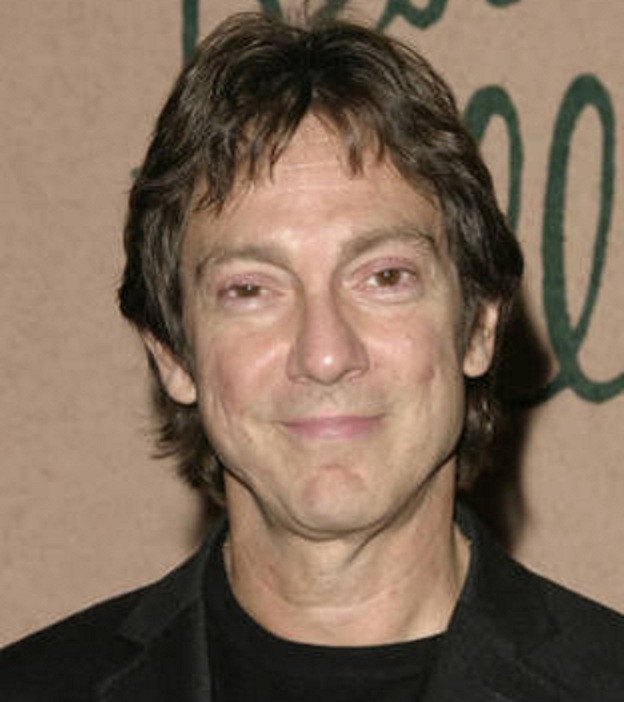 When will John Branca do the job he so desperately wanted, that he stole it? When will the Estate come correct and truly act in the best interests of Michael and his benefactors Mrs. Jackson Prince Paris and Blanket? When will John Branca be true to his words and the do the legal duties that he is bound to do by his title? At a time John Branca was fired for embezzlement, Darren Juliens was entering into contract with MusiCare, and Michael Jackson was suing Juliens for fraud! Makes you wonder, did Michael know?? We doubt it! Here is the reply we received from Branca Via MJOnlineTeam. By the way our letter was respectful, but this reply was NOT!! Alicia here, of the MJ Online Team. As you know, we are working for the Michael Jackson Estate, reporting to Co-Executor John Branca directly. Mr. Branca forwarded your email and asked that we respond on the Estate’s behalf. First, we feel it necessary to clarify that Michael Lee Bush’s book and the auction of items in his possession are two completely separate matters. To address your concern about Mr. Branca’s foreword in Michael Bush’s book: Yes, Mr. Branca wrote the foreword for Bush’s book, and the Estate consented to the use of photos in the book because of Bush’s history working with MJ. The Estate believed the book would be something the fans would enjoy; a behind the scenes look at the creation of Michael’s costumes. Mr. Branca’s foreword in the book is just that — a foreword in a book — and does not in any way signify his involvement in the fate of the items in question. In regards to your concern about the exhibition/auction: As has been stated previously, the Estate had no involvement in the exhibition or the auction and did not authorize, sanction or participate in either. Any items auctioned by Mr. Bush were his property, not the Estate’s as is the case with items of clothing, drawings, collectibles, etc. in anyone’s possession. These items are the property of the people who are offering them up for auction, and as such, the Estate is not in a position to stop the selling of said items. As has also been previously stated, the Estate maintains possession of all of the items that Michael had in storage at the time of his passing and has NO intention of selling anything that was Michael’s. Finally, concerning the authenticity of the items up for sale: The Estate has never, nor would it, assume the role of an authenticator for the sale of any item by any third party. As such, we do not agree that the sale by a third party of any item reflects positively or negatively on the Estate (unless, of course, the Estate is actually involved directly in the transaction in question). No one, be it an Estate or living person, can be held responsible for the actions by others. Questions regarding provenance and/or authenticity should be directed to the auction house and/or the seller. We ask that you communicate through us (the MJ Online Team) only from this point forward. As previously stated, the Estate specifically asked us to handle online communications with the fans on the Estate’s behalf. They have also specifically requested that any email and other similar communications for them come to us directly. Therefore, any questions you have can be sent to us. Rest assured that we relay everything on to the Estate. Furthermore, we’d like to make it known that we often receive form emails from the fan community, and when we do, we have no compunction responding in kind.